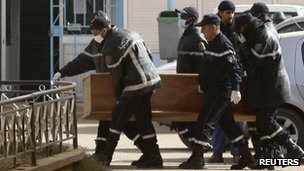 UK Prime Minister David Cameron has said that Islamist extremists in North Africa pose a “large and existential threat” – a comment he made following the siege of a gas facility in Algeria, where dozens of people, nearly all of them foreigners, were killed. “It will require a response that is about years, even decades, rather than months,” Mr Cameron said. He left or was asked to leave AQIM late last year. 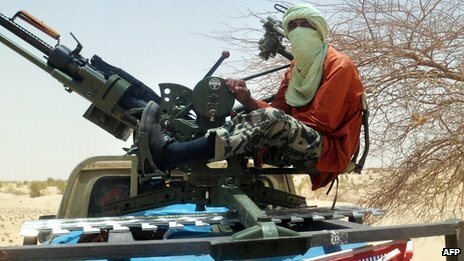 Branching out, he founded an independent faction called the Signed-in-Blood Battalion that seems to have operated out of territory controlled by the Movement for Unity and Jihad in West Africa (Mujao) in northern Mali. Belmokhtar’s faction claims that the assault in Algeria was conducted to avenge the French decision to attack northern Mali. But, with his organisation reportedly having agents within the compound, it seems likely that this was a longer-term plot that was brought forward in response to the French assault. It was in fact Belmokhtar’s close companion, Omar Ould Hamaha, a leader in Mujao, who declared in response to the French intervention in Mali that France “has opened the gates of hell [and] has fallen into a trap much more dangerous than Iraq, Afghanistan or Somalia”. That Belmokhtar’s faction would want to attack a Western target is not entirely surprising. He has a long form of kidnapping foreigners and AQIM – to which he belonged until last year – has a long and bloody history. Originally born as the Armed Islamist Group (GIA) in the wake of the Algerian military annulling elections that the Islamic Salvation Front was poised to win Algeria in the early 1990s, the group evolved first into the Salafist Group for Preaching and Combat (GSPC), before adopting the al-Qaeda mantle in 2007 to become AQIM. The GIA, in particular, has been linked to attacks in the mid-1990s on the Paris metro system, the GSPC to plots in Europe and North America prior to the attacks in New York on 11 September 2001, and the groups across North Africa have historically felt particular enmity towards former regional colonial power France. What is worrying about events in Africa, however, is that violent groups espousing similarly extreme rhetoric can be found in a number of countries. In Mali alone, alongside AQIM, Mujao and the Signed-in-Blood Battalion is Ansar Dine, another splinter from AQIM that has held large parts of the north since last year and has been imposing its version of Islamic law. In Nigeria, Islamist group Boko Haram has conducted a destabilising and bloody campaign of terrorism in a fight that is rooted in longstanding local social and economic tensions. Reports emerged last week that a leader from the group may have found his way to northern Mali, while American military commanders have long spoken about the connection between AQIM and Boko Haram. Further demonstrating the potential links to Nigeria, back in July last year, a pair of men were accused in an Abuja court of being connected to al-Qaeda in the Arabian Peninsula (AQAP), which is al-Qaeda’s Yemeni affiliate. And across the Gulf of Aden from Yemen is Somalia, a country that has been home to al-Shabab, a jihadist group that last year aligned itself officially with al-Qaeda. There have been reports of Boko Haram fighters training alongside al-Shabab fighters and the Somali group is known to have deep connections with AQAP. Particularly worrying for Western security planners, many of these groups have attracted an unknown number of foreign fighters. 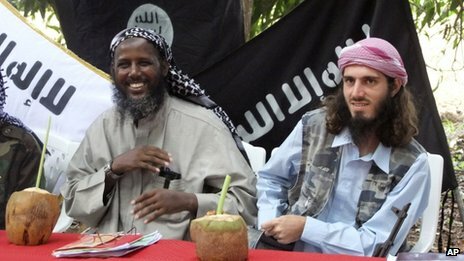 In al-Shabab, some, like Omar Hammami, the American-Syrian who rose up in the Somali group’s ranks before recently falling out of favour, have become minor celebrities in their own right. AQIM’s networks are known to stretch into France, Spain, Italy and even the UK. Mujao’s Omar Ould Hamaha claims to have spent some 40 days towards the end of 2000 in France on a Schengen visa, whilst there have been numerous reports of Westerners being spotted or arrested trying to join the jihadists in northern Mali. And now in In Amenas it appears a Canadian citizen may have been one of the attackers. Seen from Western Europe, a dangerous picture emerges, potentially leading back home through fundraising networks and recruits. But the risk is to overstate the threat and focus on the whole rather than the individual parts. While links can often be drawn between these groups – and they can maybe be described as “fellow travellers” ideologically – it is not the case that they operate in unison or have similar goals. Often local issues will trump international ones, even if they claim to be operating under the banner of an international organisation such as al-Qaeda. And looking back historically, it has been a long time since AQIM-linked cells have been able to conduct or plot a major terrorist incident in Europe. While a number of plots over the past few years have been connected to al-Shabab, so far there is little evidence that they have actually directed people to attack the West. The bigger threat is to Western interests in Africa – sites such as In Amenas that will now be reassessed as potential targets for groups seeking international attention, or revenge for French-led efforts in Mali or Western efforts to counter groups elsewhere. It has been an eventful weekend as the Algerian crisis appears to have finally wrapped up. I have been doing various bits of media, including a short interview that was used in this piece in the Sunday Telegraph, focusing in particular on the Algerian connection to the UK. As it becomes clearer what was the nationality the alleged ‘perfect English speakers’ was, this aspect will doubtless become more of a focus. For the time being, here is my latest for CNN on what the incident might mean for broader terrorism issues globally. Per CNN’s format, I have only posted the first bit of text, please follow links to read the whole thing. 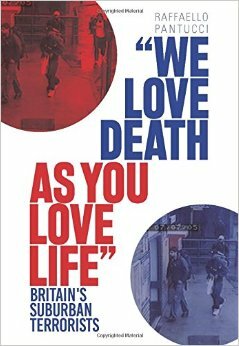 EDITOR’S NOTE: Raffaello Pantucci is a Senior Fellow at the Royal United Services Institute (RUSI) and the author of the forthcoming ‘We Love Death As You Love Life: Britain’s Suburban Mujahedeen’ (Hurst/Columbia University Press). 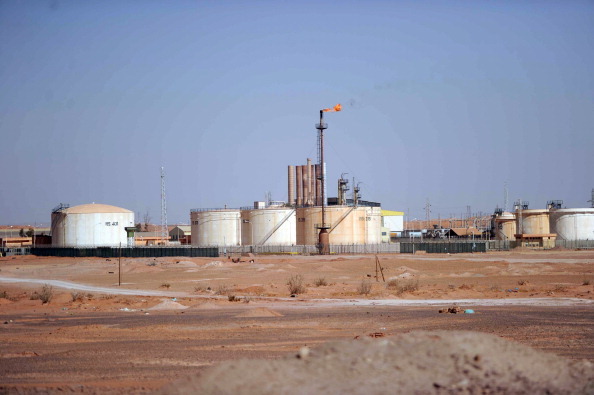 At this still inconclusive stage it is difficult to know exactly what the aim of the groups involved in the attack on the gas installation in Algeria was. Did they truly want to ransom the hostages they took or massacre them, and was money or punishment to the Algerian or French government’s the driving motivation? What is clear is that the incident has immediately captured international attention, highlighting again how terrorism continues to be a tool that can be used by groups to bring focus to their causes. The deadly operation itself further highlights the direction that we are likely to see Islamist terrorism continue to go in over the next few years. What seems clear is that the operation was conducted by a group of jihadist fighters under the command of Moktar Belmokhtar, a longtime fighter-criminal who had recently broken away from al Qaeda in the Islamic Maghreb (AQIM) to form a separate unit that was aligned with the Movement for Unity and Jihad in West Africa (MUJWA). Reports seem to suggest that Belmokhtar is likely somewhere in the region of Gao, a city in eastern Mali that has recently been targeted by French forces as they seek to reclaim the country from Islamist extremists.